Battery substitute for JVC BN-VF815U Compatible with the following JVC camera's: GR-D-series: GR-D720 GR-D720EX GR-D725EX […]. 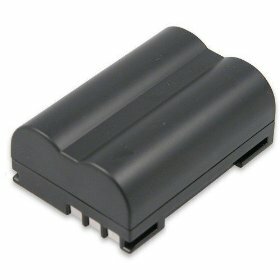 Battery substitute for Casio NP-120 Compatible with the following Casio cameras: Casio Exilim EX-S200 Casio Exiilim EX-ZS10 Casio Exiilim […]. Battery substitute for Canon NB-2L/2LH Compatible with the following Canon camera's: HG10 HV-20 HV-30 ZR-100 ZR-200 ZR-300 ZR-400 ZR-500 ZR-600 ZR-700 […].